We are designer, manufacturer and supplier of fabricated G.I. Ducting for central air-cooling. These are used widely in different kind of application. We manufactured G.I.Ducting with updated technology and good quality of raw materials to ensure the durability & good performance. Our ducting meets the norm of international standards. 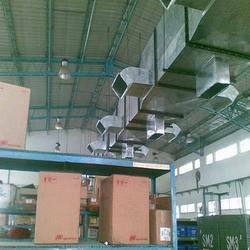 We supply air duct as per specification given by the customer. 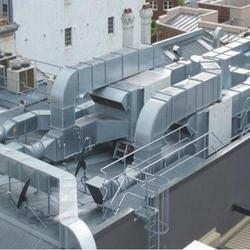 We also manufacture standard quality GI ducting that are fit for both private as well as for commercial use in hotels, apartments, hospitals, office buildings and other deluxe high-rise buildings as apart of their air conveyance systems of central air cooling units. Looking for Air Ducts ?